The term vanity light is often confusing and misunderstood; it is often mistakenly referred to as the map lights or interior lights. 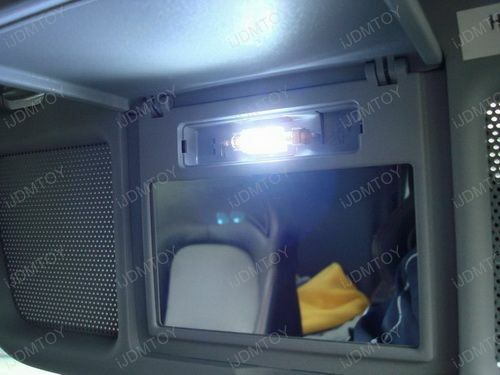 Vanity lights are the lights that turn on when you flip down the visor to see yourself in the mirror; this is not available on every vehicle, but on the vehicles that it is equipped on, it can be annoying to have a dim light on as you try to look at yourself in the mirror. A common size for this type of light is a 29mm festoon bulb that is shaped like a fuse, but other sizes such as the standard T10 or D36 bulb may be used. On 29mm festoon bulbs, there are three 5050-style LED emitter diodes which produce about 250 lumen. This is much brighter than the factory incandescent filament bulbs. They are also available in three attractive colors: Xenon White (6000K), Warm White (3500-4000K), and Ultra Blue (20,000K) for any type of look you want. 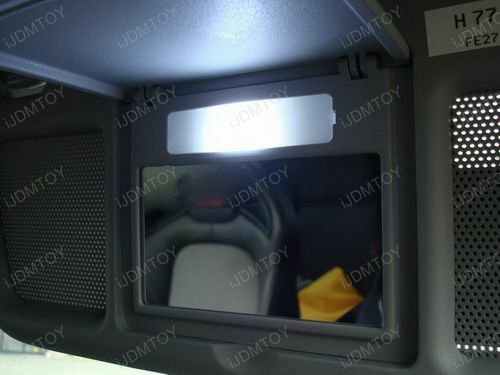 To replace these small vanity lights, the installation is similar to what needs to be done when replacing any other light inside the car such as the map or dome light. Let us take a look at a sample of how it?s done. 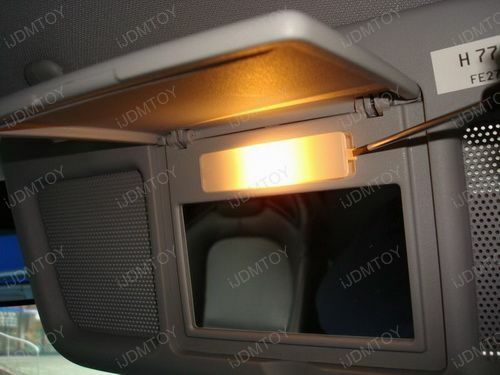 Open the visor and allow the vanity light to turn on so you can locate it. Use a flat head screw driver and carefully open the plastic lens that covers the bulb. Using the same flat head screw driver, carefully coax the factory filament bulb out of the housing. Try not to touch the bulb with your fingers as it will be hot. Replace the bulb with the LED replacement.